Host David Nunn takes us to the original locations where the dramatic events of the Book of Acts took place and unfolds the impact of Paul's message of the risen Savior upon those communities. 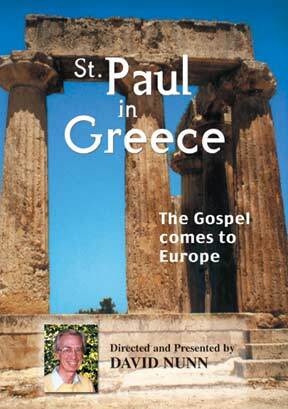 This captivating program explores the route of Paul°s second missionary journey and his adventures along the way. The places visited include Neapolis, Phillipi, Thessalonica, Berea, Meteroa, Corith, Ephesus, and Jerum. This is a fascinating way of visualizing the historical context of the Bible, making it a valuable learning resource for group or individual study.